Two weeks ago I wrote that I was rooting against the birds. If the Jaguars had won, they would have been my choice against either NFC team, including my brother’s Vikings. 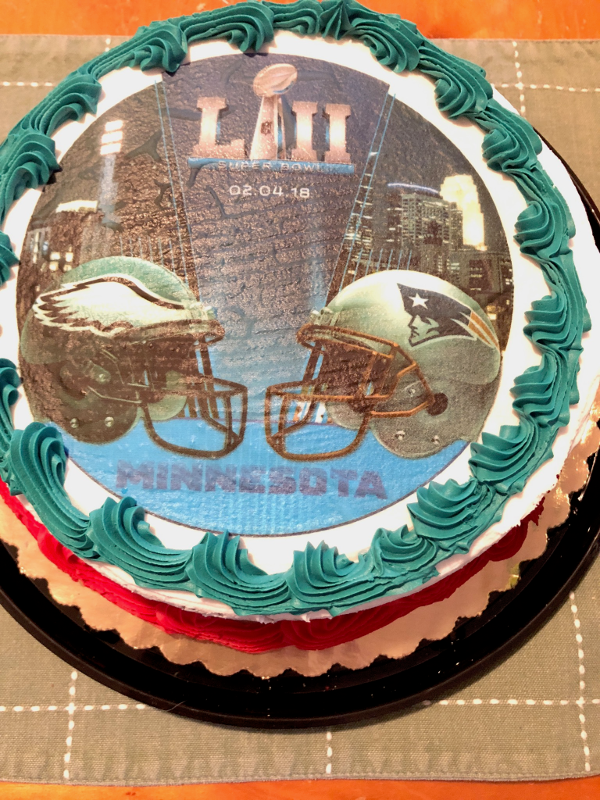 After they lost, I knew I’d be rooting for the NFC - even if it turned out to be the Eagles. We were really pulling for the Vikings then. 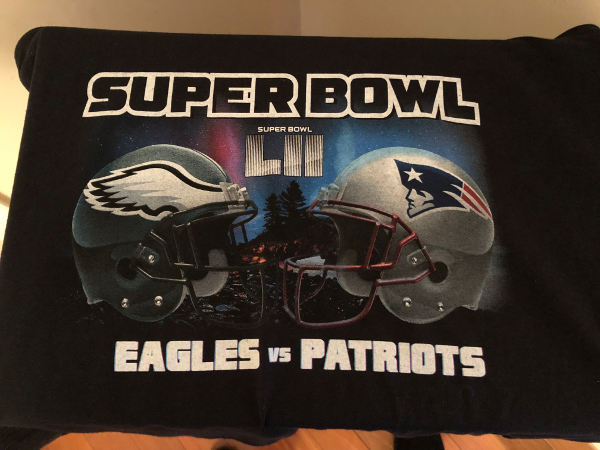 Billy even mentioned to me that if the Super Bowl were the Patriots and Eagles, it might be hard to even watch it. Over the last two weeks I’ve really gotten excited about the possibility of an Eagles win. I think the whole family has. Billy and Maya even drove down from New York to see the game with us. Terri and I chimed in doing the E-A-G-L-E-S! chant at ACME yesterday!